The Italy international was hotly tipped to join Chelsea at the turn of the year but the Serie A side rebuffed the approach as they were not keen on a mid-season sale. However, this has not ceased the speculation regarding the midfielder's future and The Mirror claims that the Gunners have joined the race to sign him as they seek to replace Juventus-bound Aaron Ramsey. Cagliari are prepared to accept a minimal sum of around £27m for their asset but the price could be driven up during the summer amid the competition from Napoli and Chelsea. 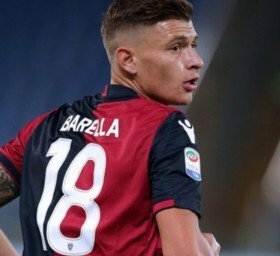 Barella has racked nearly 100 league appearances for the Serie A club since making his debut during the 2014-15 season. He has also earned five caps with the Italian national side, scoring one goal in the process.